Handy raised kitchen trough for growing kitchen herbs, salad leaves or edible flowers, the choice is yours. This rustic style Kitchen Garden Trough planter will serve a multitude of purposes to suit you and your garden. 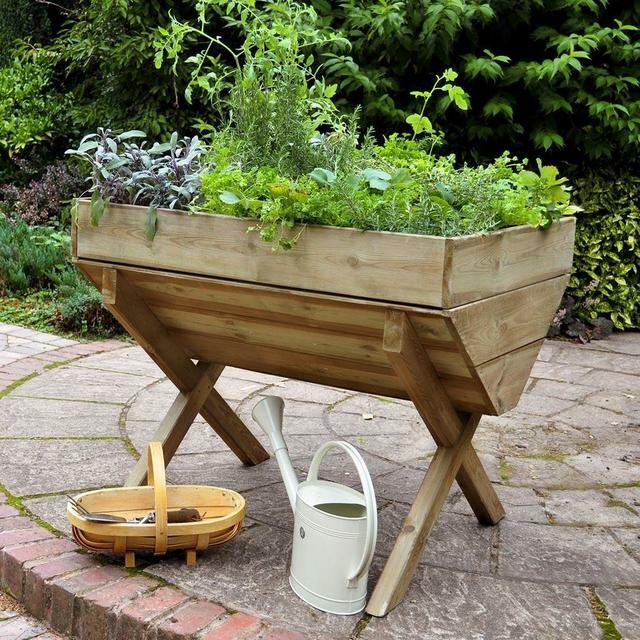 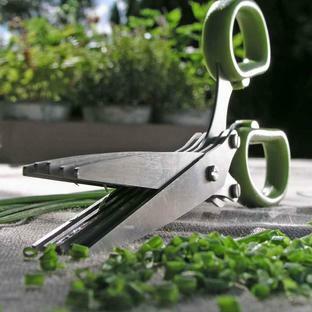 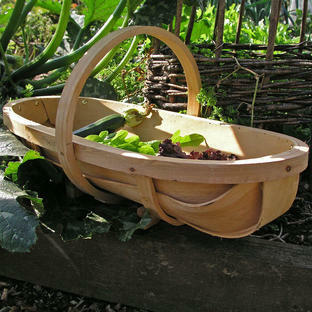 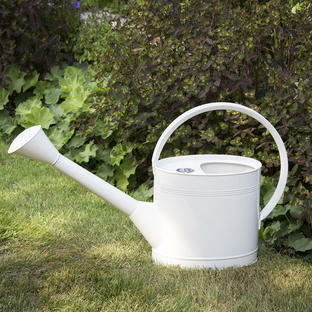 It can hold home grown herbs, pick and come again salad leaves or simply an array of beautiful flowers for display. This planter is easy to move about, so you don’t have to keep it in one place all year round. 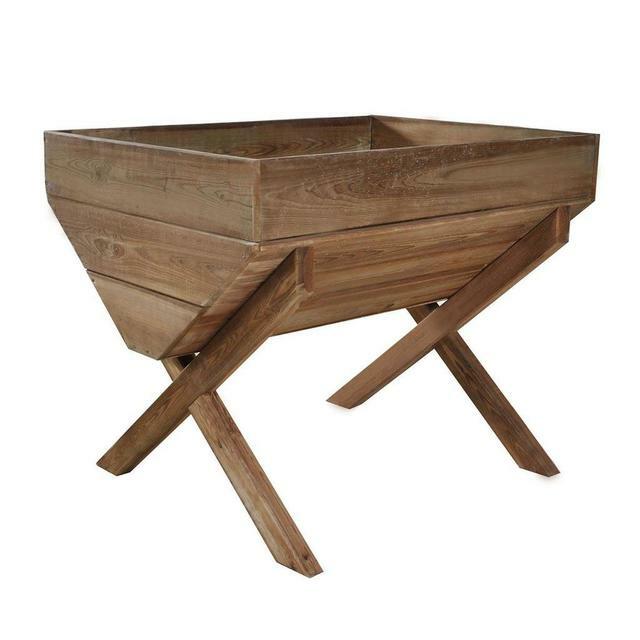 The raised design of this planter means it is safe from pets and small children trampling over your tender plants, and it is also ideal for those who find it difficult to bend down while planting. 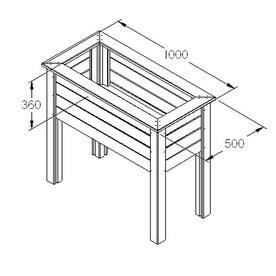 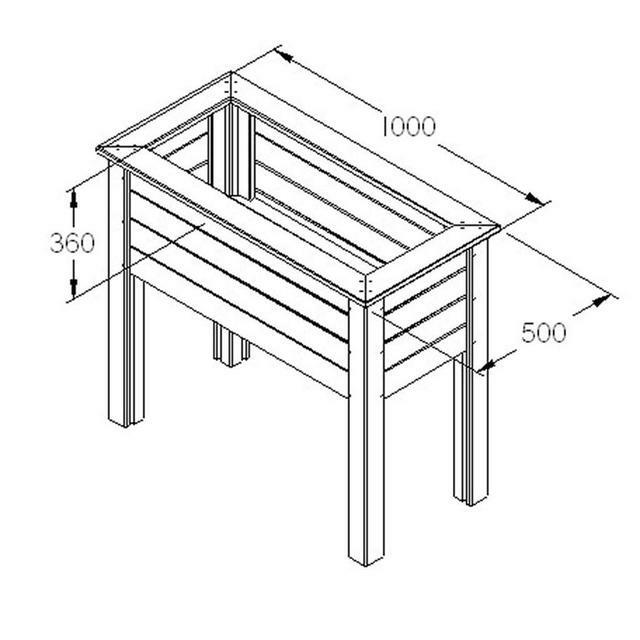 Manufactured from smooth-planed, pressure treated timber for a superior build.